A range of return manifolds. 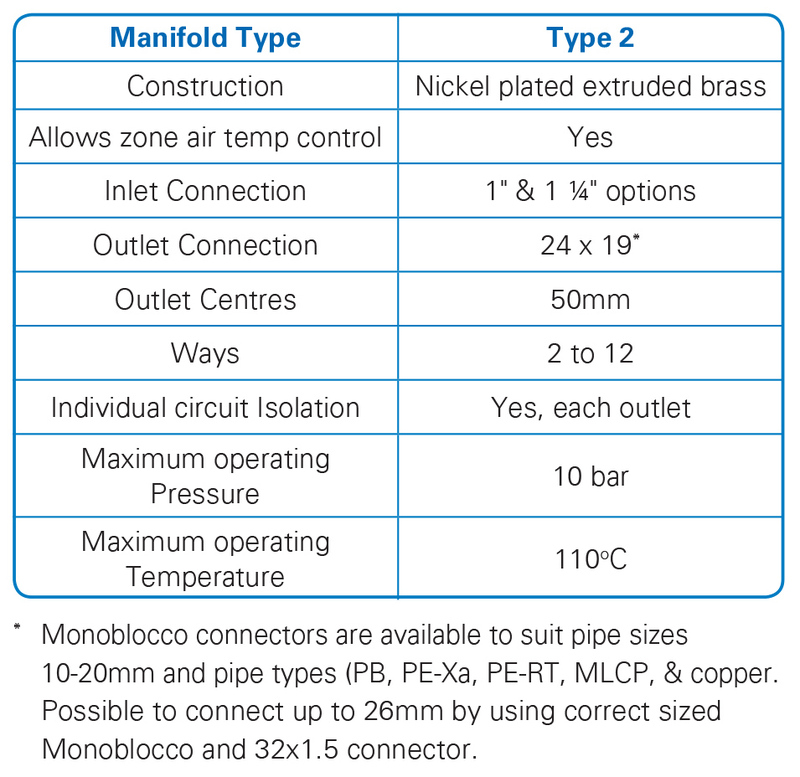 Nickel plated, extruded brass manifold with integral flow control via electrothermically actuated valves for both radiator and Under Floor systems. 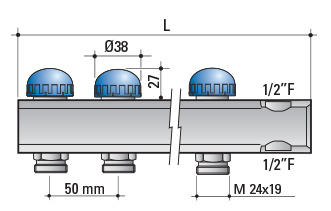 Available in 1” and 1¼” sizes, from 2 ways to 12 ways. Single bars can be mounted separately or close coupled and can be concealed in a choice of purpose designed plastic or metal cabinets.